Acme Heating and Cooling is San Antonio’s most skilled residential AC and Heating service and replacement company. 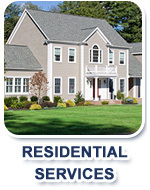 You’ll appreciate the way we respect your home and your AC and Heating problems. You’ll always get the most knowledgeable service technicians who only do the work that’s needed to get your system up and running without charging you extra for unneeded repairs . Our main focus is getting your AC system up and running ASAP. We want you to have the most comfortable home possible. Our technicians are skilled in using the latest diagnostic equipment to get your unit up and running fast, and with one phone call you’ll be one step closer to the home comfort that you deserve. We’ve been licensed since 1988, and only employ technicians with a minimum of 10 years of experience in the field and NATE Certifications to guarantee you top notch service every time. Whether our technicians are working on a 300 ton building chiller or a 3 ton residential heating and cooling system, you’ll get a high level of technical skill and training assuring you that when you call Acme Heating and Cooling you will always have the most skilled heating and cooling technician working on your home cooling or heating system. Acme Heating and Cooling was founded by Mark Langley, a 20 years plus veteran of the mechanical, heating and cooling industry. 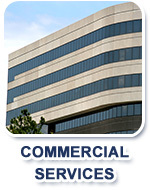 We are definitely skilled and equipped to handle any Commercial or Residential heating or cooling application. Call us today at 210-861-4789 for honest, knowledgeable, and reliable service and installations.